On 18th June, a reception was offered by the Ambassador of Spain and the Chief of Staff of the Spanish Navy on board the amphibious assault ship ‘Juan Carlos I’ at the Ras El Tin military base in Alexandria. The ship called in Alexandria port after several days of joint exercises at sea with the Egyptian Navy. 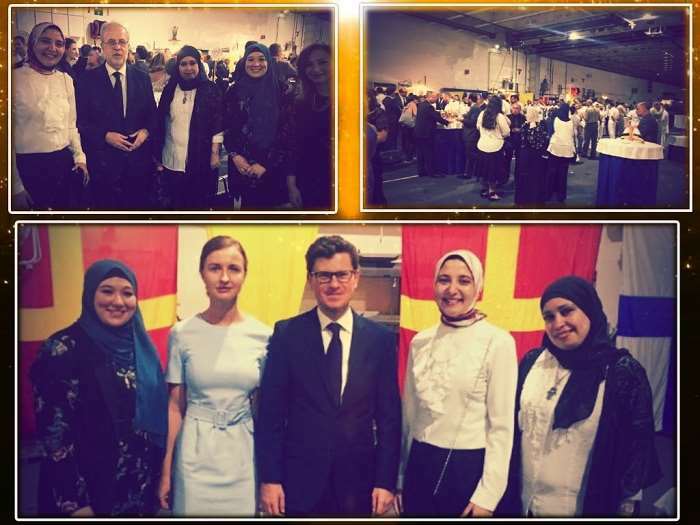 The event was attended by Dr. Omnia Salem, Rania Refaat Bassiouney, coordinator of international affairs, Miss Mayada El Kayal, Miss Marwa Abdelsamie from the Spanish Department, H.E. the Governor of Alexandria, the Chief of Staff of the Egyptian Navy, high ranking military officers, members of the Egyptian Parliament, religious dignitaries and representatives of the Spanish and Egyptian business communities, culture and civil society.